Facebook launched Facebook Groups, which was previously like Facebook Fan pages. Now, Facebook users can create and join Facebook Groups, which still looks a bit like Fan pages, but with more privacy options, and also allow users in the group to communicate with themselves more effectively. However, Facebook Groups allow members of a group to automatically add any other random Facebook user to a Group without an invitation. Immediately you are added to a Facebook group, you will automatically receive all updates and messages from the Group. 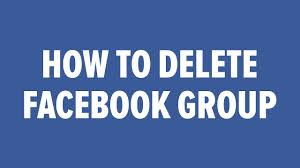 You have the option to remove yourself from any Facebook Group you do not want to be a member of. Go to the groups page for your profile. This section lists all the groups that you are a member of. Click on the “X” on the right side of the group name to remove yourself from the group. A pop-up box will ask you to confirm you actually want to leave the group. You can also go to the Group Page and click the option to “Leave Group,” which is featured under the Member module on the right side of the page.